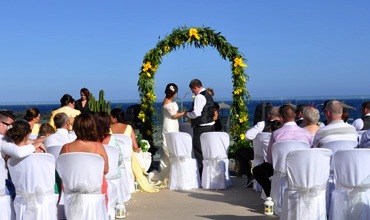 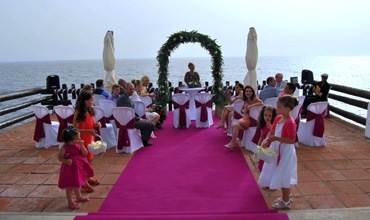 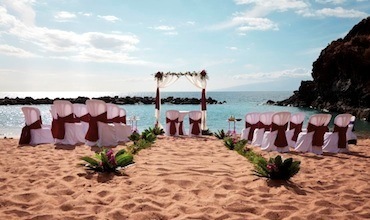 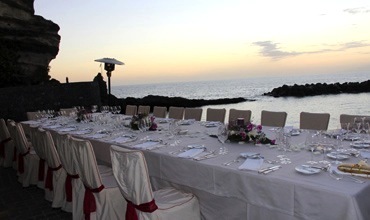 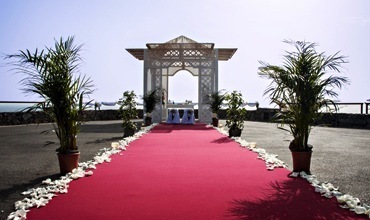 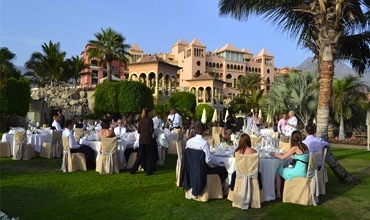 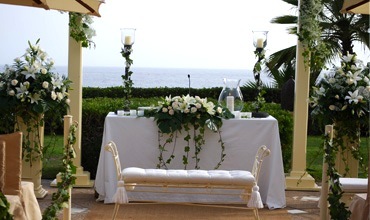 We have the widest selection of the best wedding venues in Tenerife (Canary Islands, Spain). 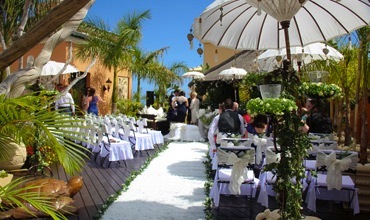 No matter what kind of wedding you want to celebrate, Tenerife is the ideal place to fulfill your dreams – from simple weddings to luxurious wedding venues. Thanks to our well qualified and reliable contacts and our many years of experience in the wedding industry in Tenerife, we can ensure you the best and most beautiful wedding venue that matches your needs. 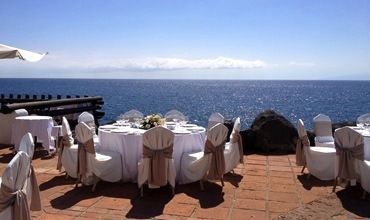 Contact us now if you’d like to recieve a brochure with more information about our wedding venues in Tenerife and a personalised quotation. 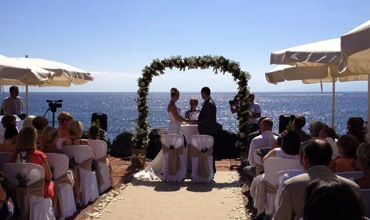 Do you dream of a glamorous wedding abroad in an exclusive wedding venue, stunning sea view and 1st class service? 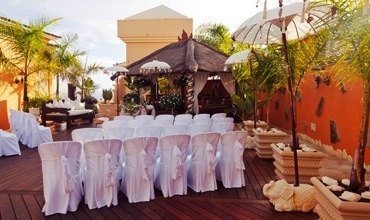 We know the places where your dreams come true! 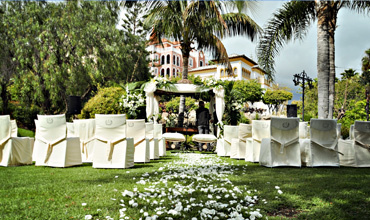 Celebrate your wedding day in Tenerife surrounded by luxury, palm trees, flowers and stylish decoration, enjoy high-quality food and make your luxurious wedding in Tenerife an outstanding event. 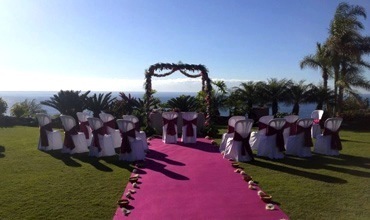 My Perfect Wedding makes your dreams come true! 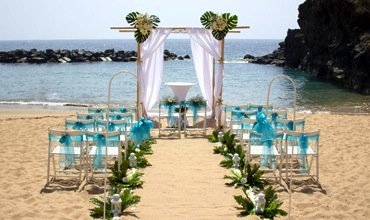 Get married on one of Tenerife’s beautiful beaches, feel the sand beneath your feet and the ocean breeze in your hair whilst declaring your love! 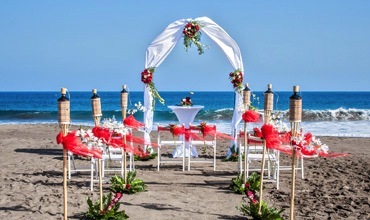 You will notice that planning your beach wedding is an enjoyable event from choosing the decoration to the “sand tradition” created for our bridal couples by My perfect wedding. 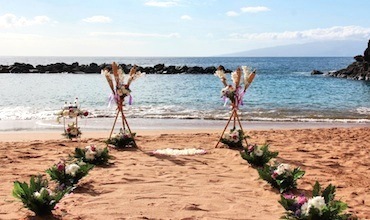 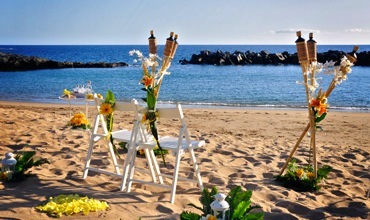 You don’t want a beach wedding but still like the idea of celebrating your wedding directly beside the ocean? 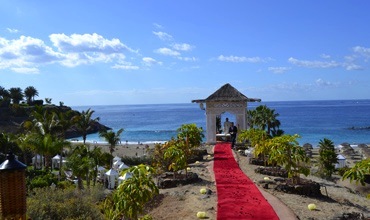 Why not having your wedding in Tenerife next to the beach with your favourite music, great food and exciting entertainment? 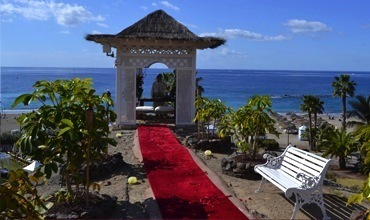 Enjoy the ocean breeze and still keep your beautiful wedding shoes on and let us assist you in finding just the right location for your wedding abroad! 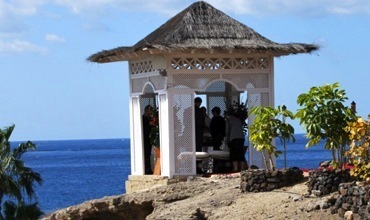 Our tailor-made gazebo adds a very special touch to your outdoors wedding venue. 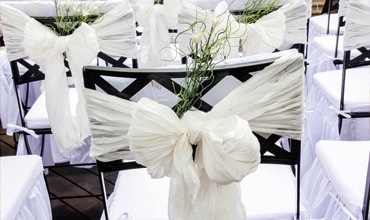 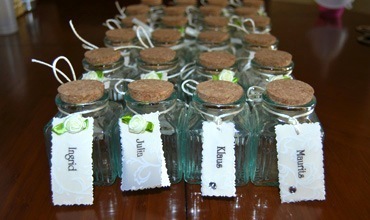 It is full of possibilities for decoration and it’s great to showcase the bride and groom in their special day. 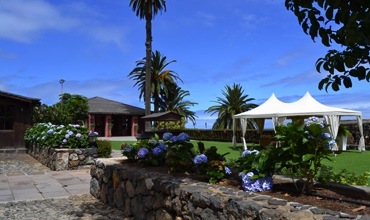 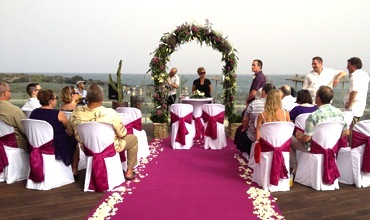 We can transport and install our gazebo very easily in almost any wedding venue of your choice in Tenerife. 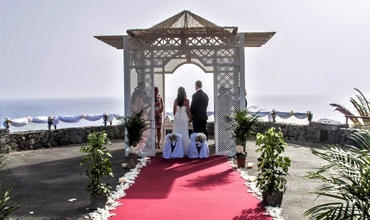 To “red-rose-lovers” and hopeless romantics Tenerife offers some very special secret spots, beautiful gazebos, spectacular sunsets and romantic little churches. 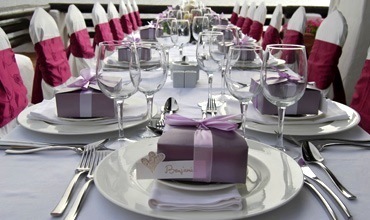 The love between the two of you will be reflected in every detail of your wedding to create a heart-warming event full of joy. 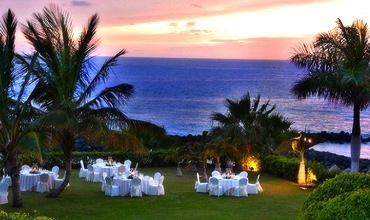 Tenerife’s sunsets are unique! 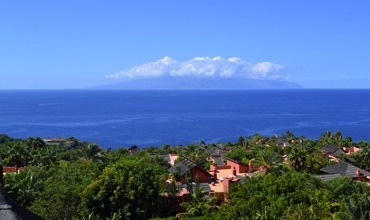 On clear days the sun is a huge ball melting into the ocean creating a magnificent colourful sky. 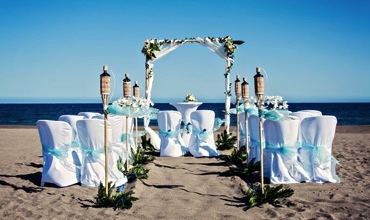 Also daytime coastal weddings have a wonderful ambience, the beauty of the rushing sea will stay with you forever. 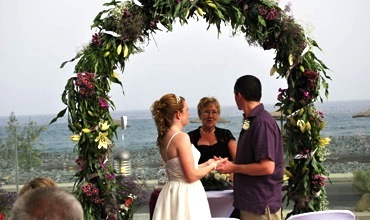 All our wedding venues overlooking the ocean guarantee a special atmosphere! 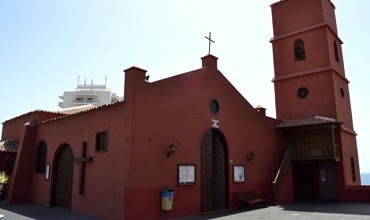 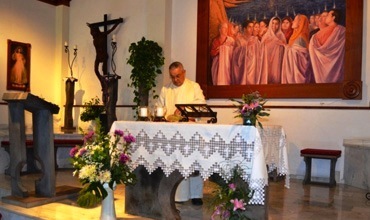 Tenerife’s churches are beautiful, and you can find churches of pratically all religions here. 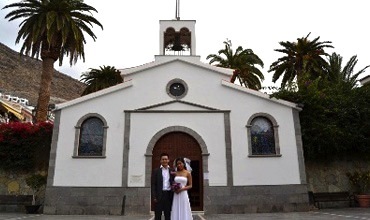 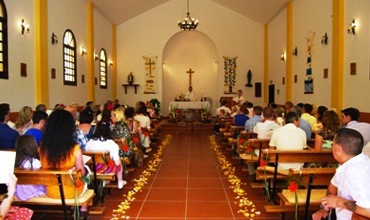 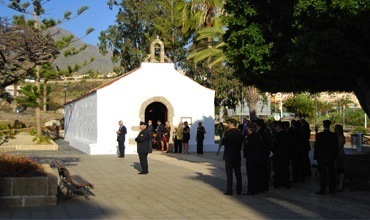 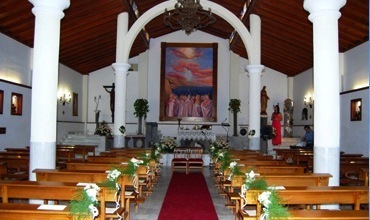 We can find the perfect church for your wedding, whether you are looking for a small and intimate church venue, or a big cathedral-style church in Tenerife. 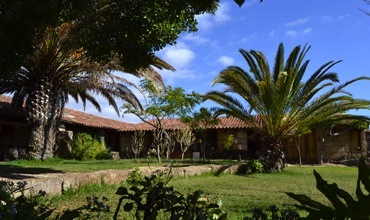 We suggest Spanish rural homes, also called “Fincas”, to those who love the traditional Spanish style. 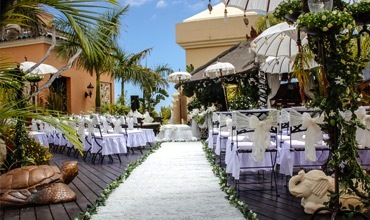 How about serving Tapas to your guests by waiters in traditional Canarian costumes and having your wedding photos shot in a natural environment? 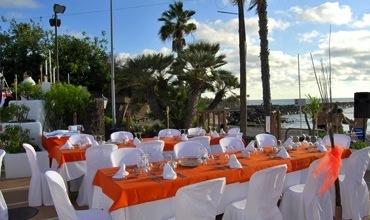 We can create an unforgettable event for you and your guests! 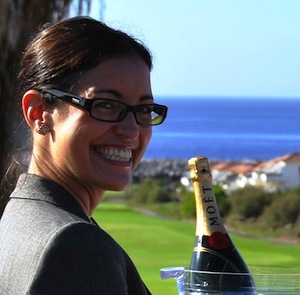 Have we not yet convinced you? 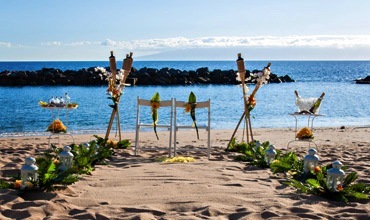 Tell us what your wishes are! 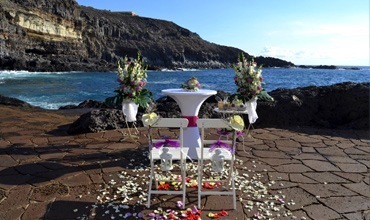 We are always looking for new wedding venues, ideas and inspiration for all kind of events, expanding our portfolio of wedding venues in the Canary Islands. 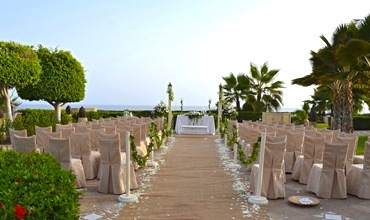 Do you dream of a glamorous wedding in an exclusive venue with stunning sea views? 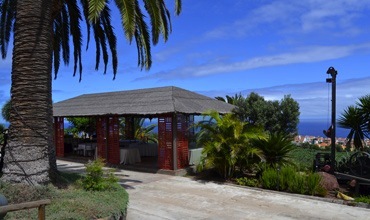 What about, having a fantastic meal served by a chef directly by the pool, under the palm trees with your guests. 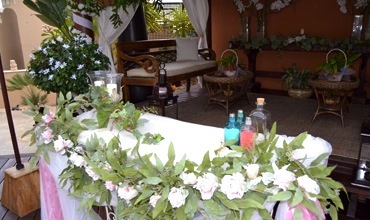 Or if you want something a little more casual how about a BBQ or a buffet. 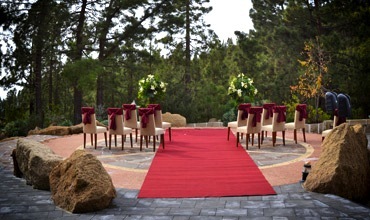 Why not consider incorporating Teide in your wedding, it is perfect due to its beautiful nature and idyllic landscapes as a setting for your romantic wedding. 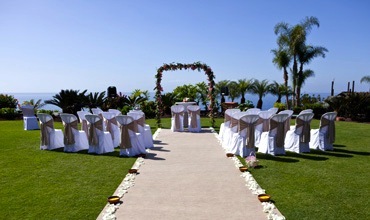 That guarantees as well beautiful wedding photography. 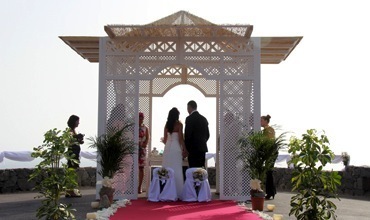 You could rent one of the beautiful villas that will help incorporate Teide into your big day. 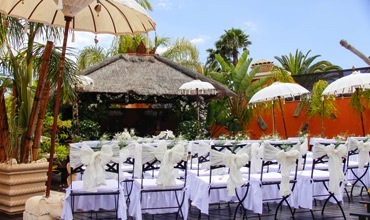 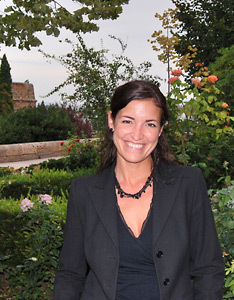 What about a Mediterranean atmosphere that is lively? 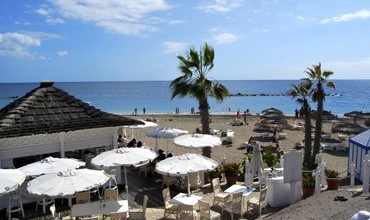 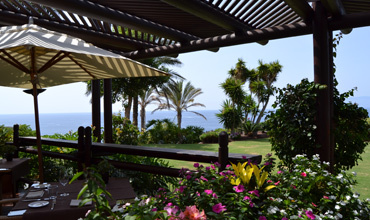 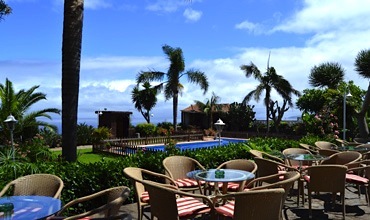 You could be served finger food and great fish at a beach club on one of the beautiful sandy beaches here in Tenerife. 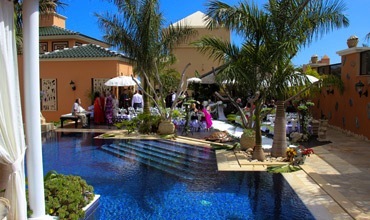 Do you want your wedding to be spectacular? 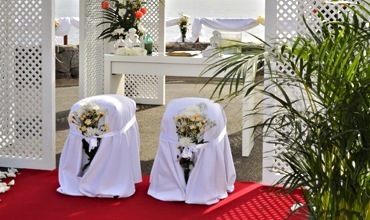 Why not have your wedding ceremony in one of the fantastic theme parks on the island? 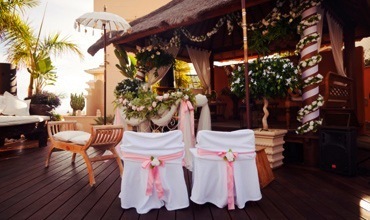 Are you romantic? 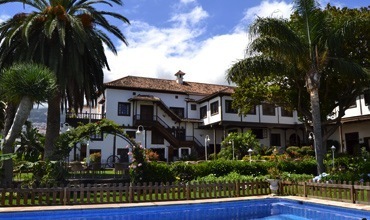 Then an old typical Canarian mansion is made for you. 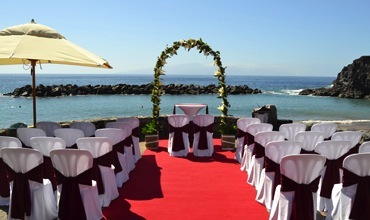 You can rent one for your wedding ceremony and your guests can stay there for the whole weekend. 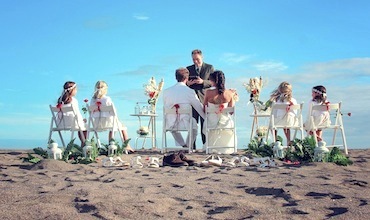 If you are an adventurer, why not tie the knot underwater? 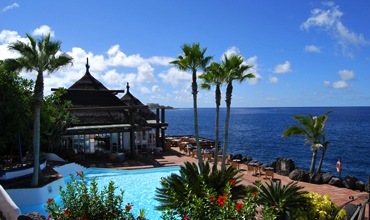 Fascinating underwater worlds with sunken ships, volcanic caves make Tenerife a real paradise for divers. 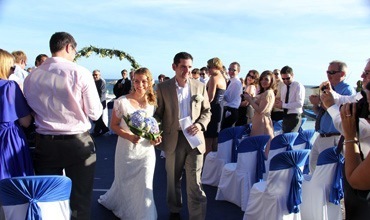 Or maybe you prefer to sail into happiness? 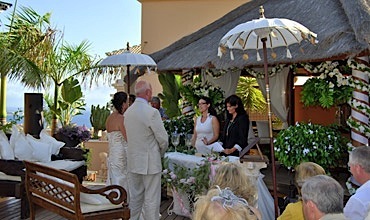 With one of the many beautiful yachts, sailboats or catamarans it is a perfect idea for a marriage proposal, whilst watching the sun go down over the Atlantic. 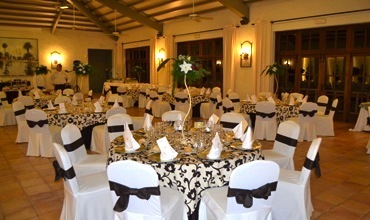 How about celebrating your renewal of vows with a sumptuous meal in a rustic atmosphere? 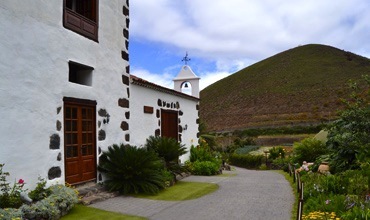 The former monastery has a fantastic wine cellar, and the restaurant will spoil you with its breathtaking views of the Orotava Valley.